Swing is a vintage partner dance originating in 1920s-1940s Harlem and is now danced all over the world. 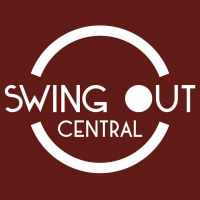 Come join us for swing dance lessons during NZ Dance Week 2019. It's heaps of fun, you'll meet new people AND you'll learn how to dance. Never danced before? No problem. Your first lesson is FREE! and there's no partner necessary. Just show up with comfy shoes, join the class and we'll take care of the rest. Original generation time 1.8094 seconds. Cache Loaded in: 0.0396 seconds.